Alex enlisted in the Marine Corps when he was 19 and is one of the few veterans who really started to plan what he would do when he got out. As a diesel mechanic for the Marine Corps who loved his job, he thought that would be his future. He was going to head back to Oregon, where he grew up, go to college to get his degree and pursue a career. However, that changed once he started looking into the profession at the end of his enlistment. Alex then went through the Transition Readiness Seminar (TRS), which is a weeklong program that every Marine goes through to help prepare them to get out. This is where the instructor brought up Workshops for Warriors, which is also about the same time Alex realized that the program was in San Diego and not Camp Pendleton, where he had been stationed during his 4 years in the Marines. That first semester that Alex wanted to enroll the programs were actually already full, but just in time someone dropped out and Alex was able to sign up. He further went on to explain that his research into a career in welding looked more promising than diesel mechanics both financially and opportunity-wise, which got him excited for the future. Welding was never something he had on his radar until coming to Workshops for Warriors. 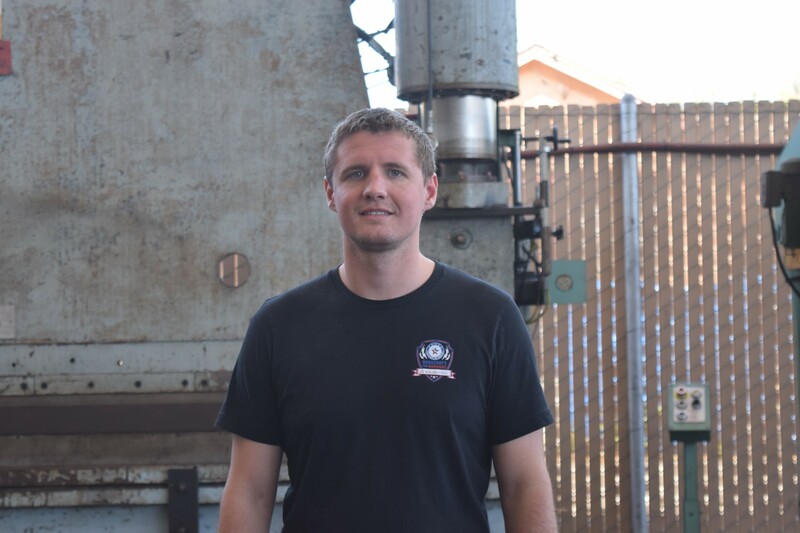 Alex has completed the CNC Mill and Lathe and Shielded Metal Arc Welding and is currently in the Solidworks, Mastercam, and Gas Tungsten Arc Welding courses. He explained that he is going to do one more semester to complete every course Workshops has to offer except for one. He is trying to take full advantage of what is offered. Alex plans to take one more semester at Workshops for Warriors and pursue a career in welding once he graduates.